As noted by Edmunds.com: “For such a small car, the Renegade is impressively roomy inside.” You’ll find plenty of headroom and legroom in both rows to see all passengers arriving refreshed after even the longest of drives, and the rear doors open to nearly 90-degrees for easier entry and exiting. As you might expect from a Jeep, cargo space is equally attractive. Up to 18.5 cubic feet behind the 2nd row. Up to 50.8 cubic feet behind the 1st row. You’ll also find plenty of smaller storage solutions throughout the cabin. With the available CommandView® dual-pane power sunroof letting in natural light during the day and ambient LED lighting casting soft illumination across your cabin at night, the new Jeep Renegade offers an attractive driving space made even better by upscale comfort features. You’re also free to choose between several types and colors of interior upholstery, including several leather options for a first-class sense of style and comfort. You’ll view key driving data on the available 7-inch full-color Driver Information Digital Cluster Display and control your driving environment from an availableUconnect® 4C NAV infotainment system with 8.4-inch touchscreen. You can also bring high-end audio to every journey by including the available 506-watt, 9-speaker BeatsAudio™ premium sound system, which boasts a 6.5-inch subwoofer in the rear. Feel like taking the new Jeep Renegade out for a spin or having a closer look at the interior? 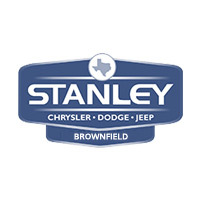 The team at Stanley CDJR is always happy to help, so feel free to contact us today. 0 comment(s) so far on Why Do Drivers Love 2018 Jeep Renegade Interior Features?